The Association dialog displays like-named files listed by type -- allowing you to quickly open and create documents, including Workspaces, based on the title of the currently opened window. Think of Associations as just a simple list of related files. 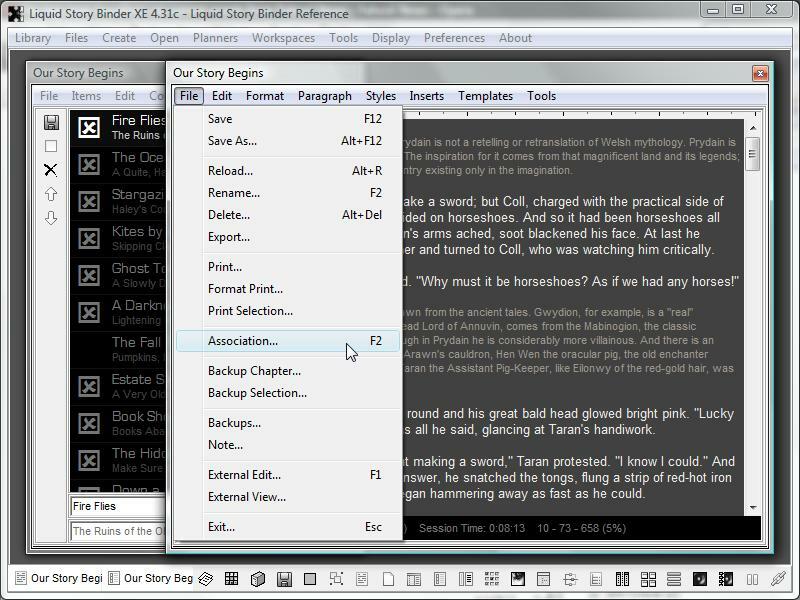 During the planning stage, you might wish to create a Timeline or Outline for each Chapter. 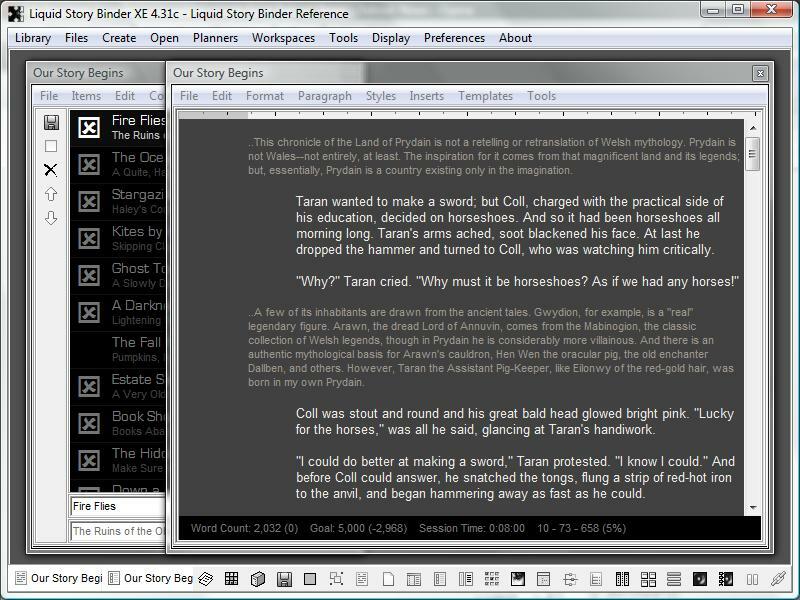 As your story develops, you might add a Builder to store important clips or a Dossier to summarize content. 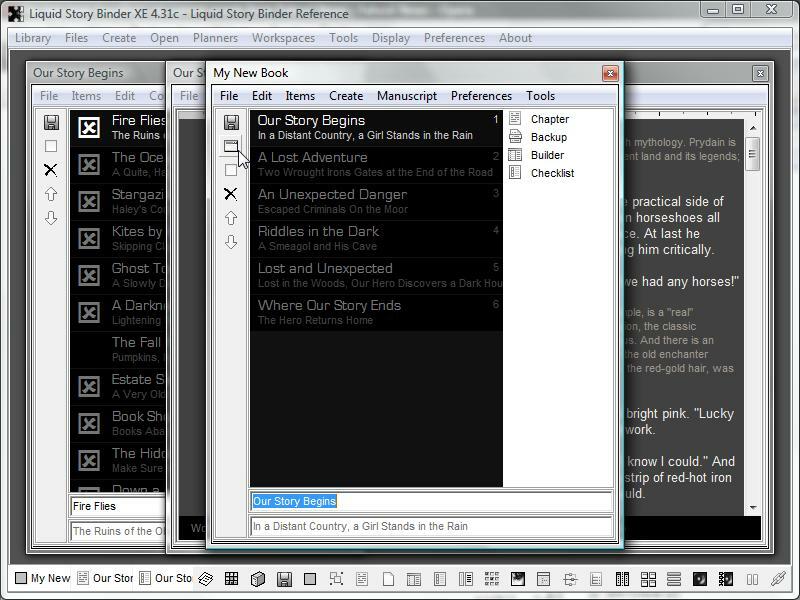 Eventually, you might have five or six documents all with the same title -- all related to just one Chapter. Quickly locate them using the Association dialog. To view the Association dialog from a Chapter, choose 'Association' from the Chapter's 'File' menu. 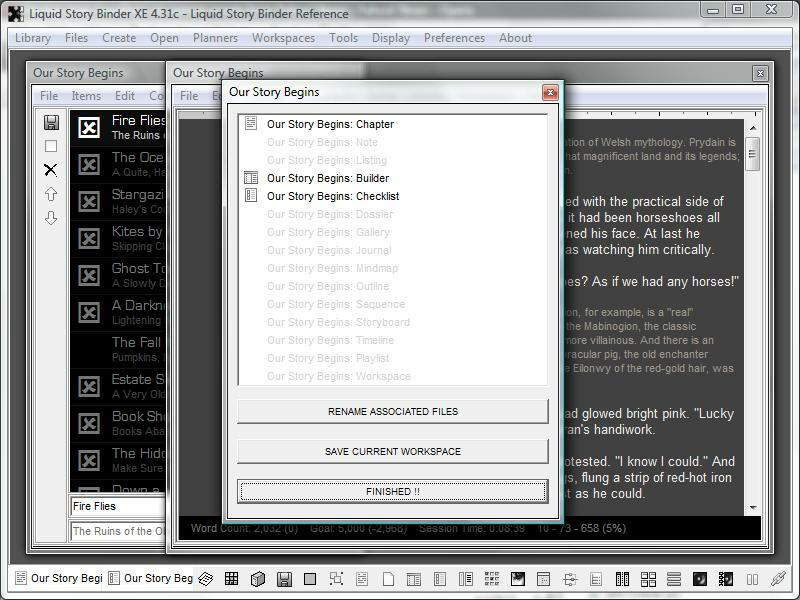 This 'Association' menu option can also be found with Builder, Note, Outline, Checklist, Sequence, Timeline, Storyboard, Gallery, and Dossier windows. 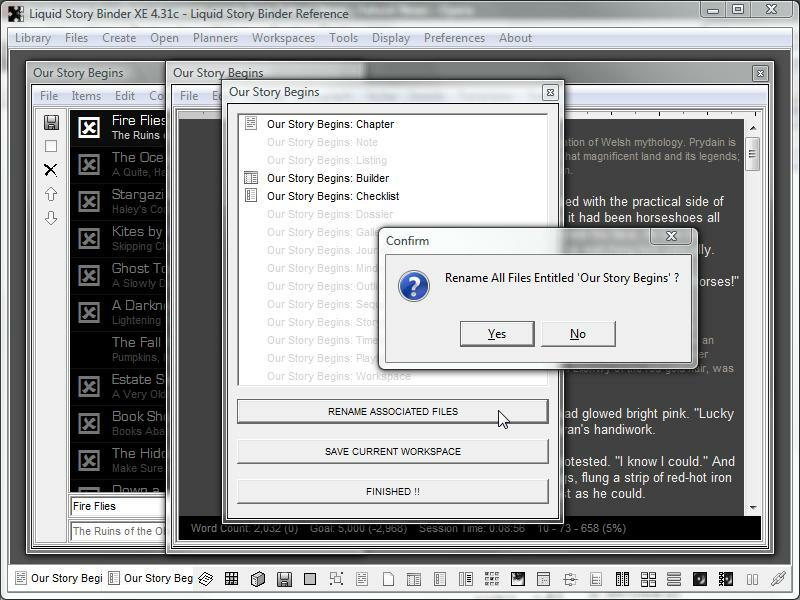 The Association dialog will open, displaying a list of files with the same title as the parent Chapter. Click to open a file, or to create a new file. The Association dialog allows users to quickly mass-rename many like-named documents quickly. Click the 'Rename Association Files' button to rename all like-named files simultaneously. A list of associated files can also be viewed as part of the Planner file type. Click the 'Change View' icon to view this list. The list, displaying files by type, is based on the currently selected Planner item. The list works in conjunction with the Planner's 'Create' menu.